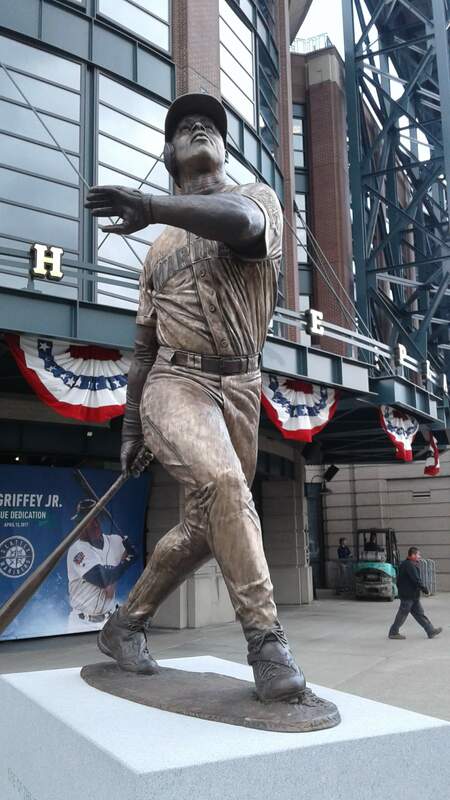 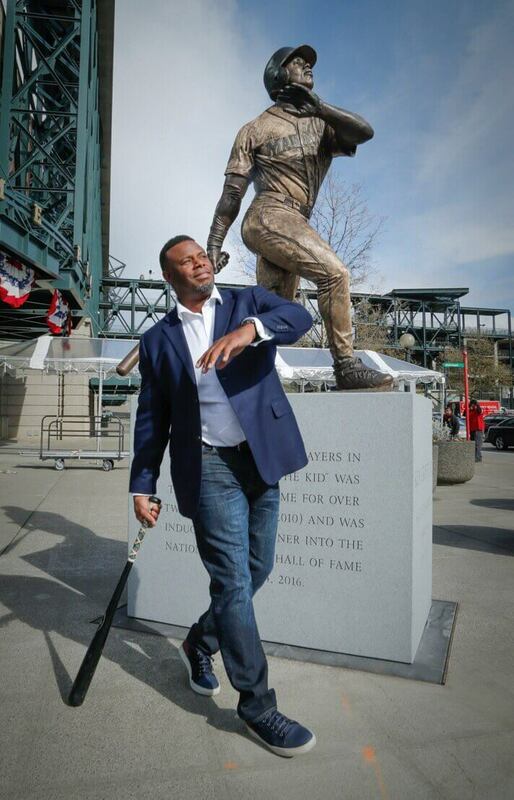 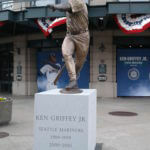 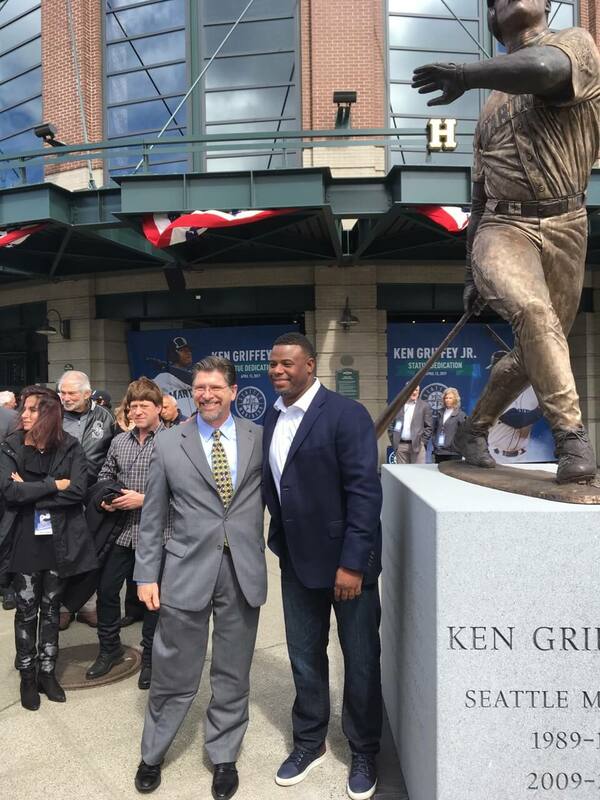 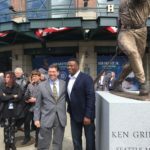 Capturing his iconic swing, this bronze and granite statue of Seattle Mariner great Ken Griffey, Jr. sits outside of Safeco Field in Seattle. 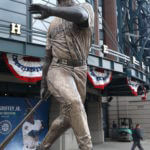 This 13-time All-Star is a leader in home runs with 630 and an outstanding 10 Golden Gloves for his defensive prowess. 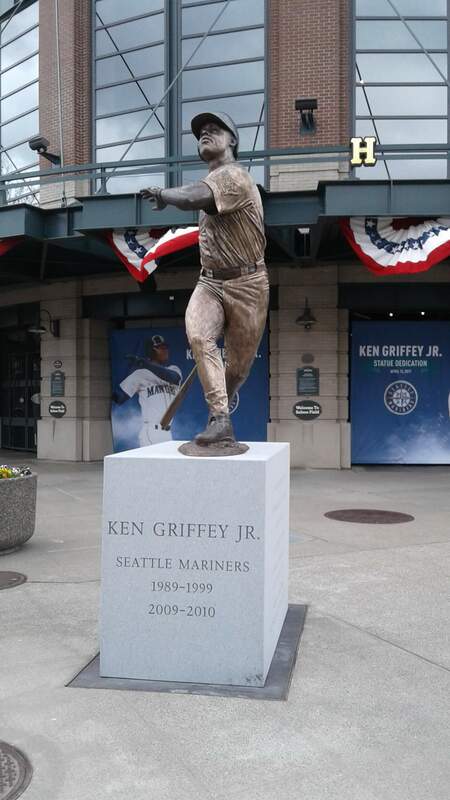 He was inducted into the Baseball Hall of Fame in 2016 with a record 99.32% of the vote. 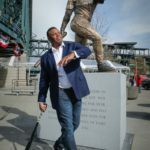 This dynamic statue was created by Lou Cella of Fine Art Studio of Rotblatt-Amrany and was dedicated in March of 2017.